Visit the DirtyPilot Current show to see brilliant new works by LADY PINK. Includes works on paper, paintings and hand cut PINK pieces of Oak and then hand painted by LADY PINK. Lady Pink was born in Ecuador, but raised in NYC. 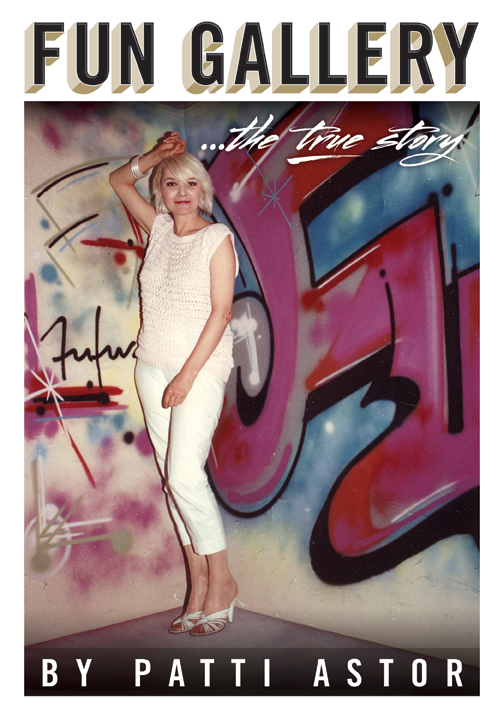 In 1979 she started writing graffiti and soon was well known as the only female capable of competing with the boys in the graffiti subculture. Pink painted subway trains from the years 1979-1985. She is considered a cult figure in the hip-hop subculture since the release of the motion picture “Wild Style” in 1982, in which she had a starring role . At the age of 21 had her first solo show at the Moore College of Art. As a leading participant in the rise of graffiti-based art, Lady Pink’s canvases have entered important art collections such as those of the Whitney Museum, the MET in New York City, the Brooklyn Museum and the Groningen Museum of Holland. She has established herself in the fine arts world, and her paintings are highly prized by collectors. 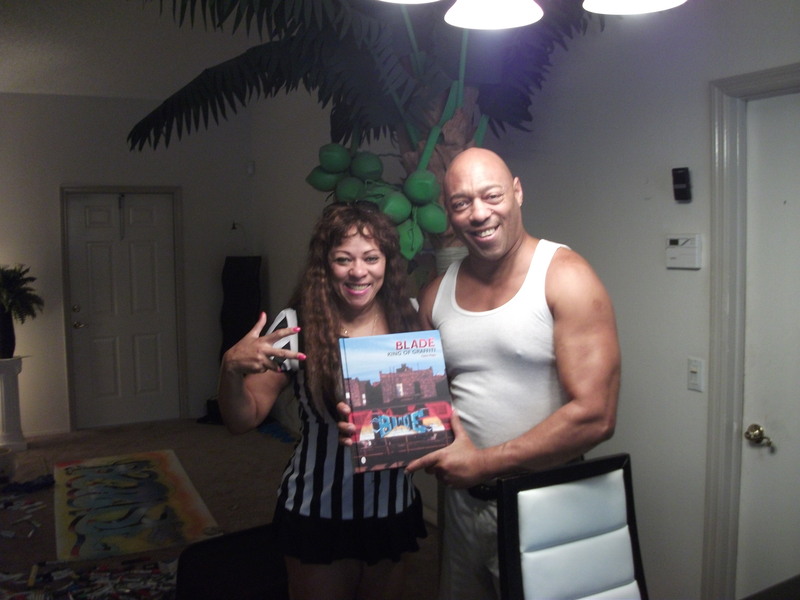 Blade & Portia are happy to announce the arrival of his new book. personal photos of the Original Crazy 5 Members. Special thanks to Roger Gastman & Chris Pape for producing such a Blockbuster of a book! DirtyPilot Presents: “QUIK & SEEN” Painted Maps. 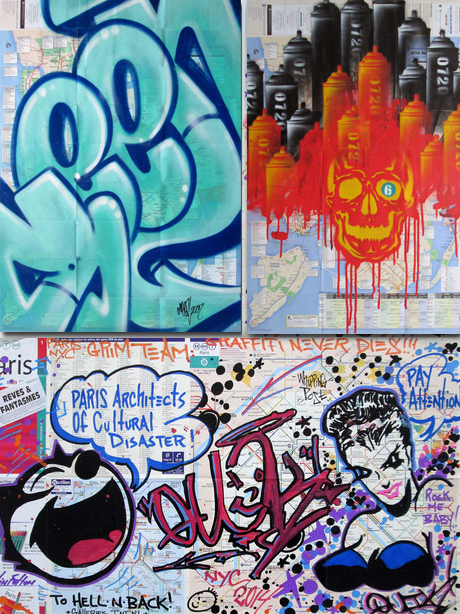 QUIK & SEEN Maps grace the cyber walls of DirtyPilot this month. Check out quintessential QUIK maps adorned on Paris, Brussels and NYC transit Maps. We are stoked to also offer full SEEN maps. Its a rare occasion when you get this four letter word all on one map. Recently the only one we know of sold at Artcurial in France for big bucks!!. 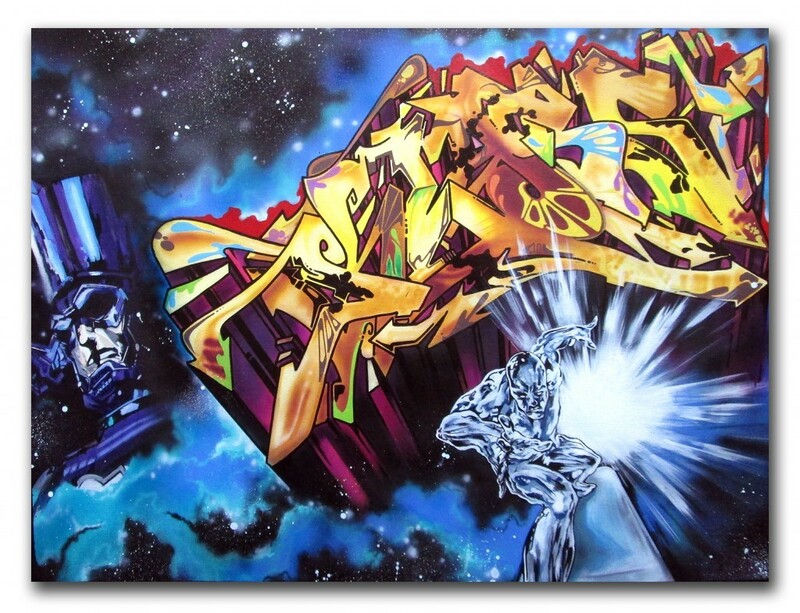 Accompanying these classics, are other styles including SEEN’s iconic imagery, skulls, spray cans and tags. QUIK & SEEN will be will be available through May15, 2014. Did you know my friend SHADOW? Did you know my friend SHADOW? He was a great one. Six letters? Kinda long. With a name with that many letters, you could get caught street tagging. Well, no worries. If SHADOW could do it…. FAT PETER wrote SI 3. FAT PETER had a greasy ponytail past his waist, wore a bowler hat, chain-smoked Marlboros, and rode a four-foot long homemade skateboard. SHADOW was his homie. They made for an interesting pair. Back then they were inseparable. FAT PETE was my man. He introduced me to SHADOW. We all hung out in the playground behind the 72nd Street Bandshell in Central Park. Everyone played hooky in those days. Or had already dropped out of school. We were the heads and the hippies and the burnouts. And in many cases, the graffiti writers. How much we loved Cheech Wizard, Zap Comix, Skateboarder Magazine, and the bands Hot Tuna, Zeppelin, and later, The Dickies. SHADOW was already trying to dismiss GRAFFITI as being “over”. But with some joints and annoying teenage cajoling, I could always get SHADOW to do some tagging with me and PETE. Sweet. With a new Midi, it was always ON! O, SHADOW! The heart O, the little flame on the top of the A. That script D thing. You were the man. Hanging at The Bandshell, or crammed into FAT PETE’s bedroom, reading comics and Bode books, SHADOW was always a contrast of sweet and irascible. Like me, he was strongly opinionated, and always defended his opinions with no shortage of conviction (read: bombast). He broke every bad stereotype about graffiti writers. He was a goddamn encyclopedia. Just brilliant. Did you know my friend SHADOW? Terror 161 called me New Year’s Eve. SHADOW is gone. 1980 was such a beautiful year for trains. 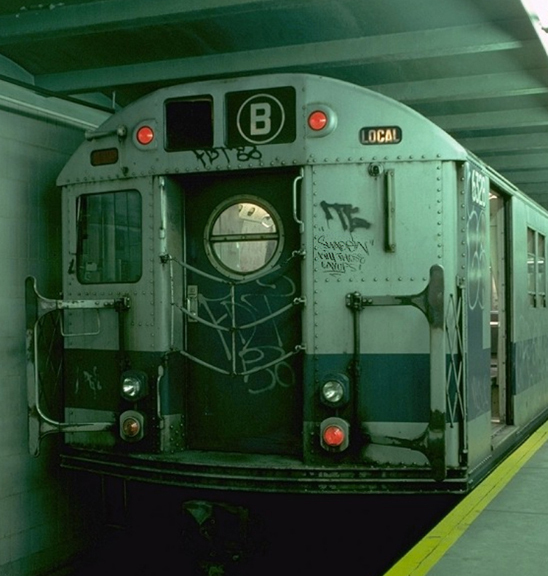 The list of iconic whole cars and window down burners is long, with many of the cars captured by Henry Chalfant and Martha Cooper to be dispersed worldwide via Subway Art. 1980 was also the year that a newer more technically proficient group of writers were asked to paint on canvas, this had happened previously with the writers in UGA in the early ’70’s with mixed results. There is something about canvas that is intimidating, writers were no longer being asked to do “graffiti”, they were being asked to do something supposedly deeper – they were being asked to produce art – or, what they thought art was. The early works on canvas by some of today’s art stars are illuminating to say the least and raise a lot of questions. The first Dondi painting I remember from this period was done in spray paint and outlined with an El Marko, the story of how he evolved as an artist must be fascinating. The first Lady Pink canvasses were colorful flowers done in spraypaint, within two years she was painting politically charged works in acrylic. The first Crash canvasses were a gritty take on “pop” imagery which looked a whole lot better when he and Daze rented a studio and both painters hit their stride. Which brings us to the audacity of Crash and Daze renting a studio in 1983. Who would do such a thing? That was the prevailing mentality back then, there was always a feeling that it wasn’t going to last. 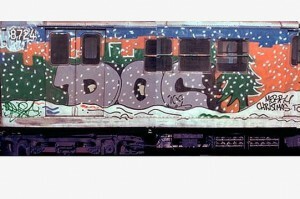 It’s quite possible that without Subway Art, Wild Style and Style Wars that it wouldn’t have gone global and that collector’s would’ve moved on to the next fad – but it didn’t happen that way. It’s 34 years later and at least ten writers from that period are being taken as serious artists around the world, it’s nice that in this show there are some pieces where the artists didn’t have all of the answers yet. That was how it was in the 80’s. A personal website or web page on which an individual records opinions. A continual tour, with a human guide who you get to know. There are many guides to choose from, each develops an audience. Oddly enough, I do not consider myself a person who prefers writing over talking as a means of expression; however, this is a subject I love and feel honored to be able to discuss, even if it is written. I consider myself a former Graffiti Writer turned Graffiti Artist who after an almost 30 years hiatus, has returned in time to see only the results of a three decade cultural evolution. I am both proud and awed to see Graffiti Writers being not only accepted as legitimate artists, but also their works as those of Masters. 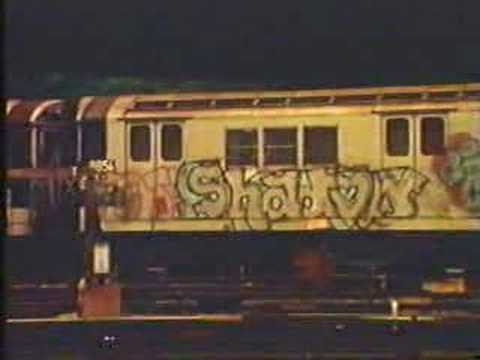 Two of thee most influential books on the subject of Graffiti; “Graffiti Kings” (Stewart) and Subway Art (Chalfant- Cooper), are almost 180 out from each other in approach…. 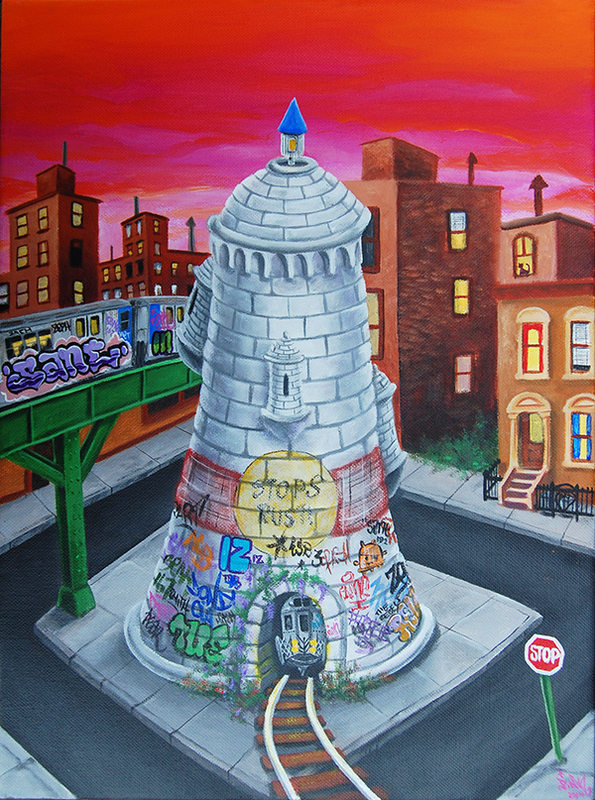 (“Kings”) a historical composition and odyssey of those who were there in the early days; Subway Art a pictorial catalog of the “then current” Who’s Who in the world of Graff. They were Influential because they both became informal but official legitimacy rosters; they delineated and defined eras as well. Having your name appear in Graffiti Kings gave you instant membership in the prestigious Old Schooler’s club; it meant you “wrote” during “The Golden Age”, a “70’s writer”. On the other hand, shots of you or some of your work in Subway Art for the most part meant you were an 80’s writer; a New Schooler whose era’s metallurgical value had not yet been assigned. There are a handful of corroborated accounts of New York cats writing in the late 60’s, but very rarely, if at all, will you hear anyone referred to as a 60’s writer. These lines of demarcation caused many to dig in and take a stand as to which side of that chronological fence they rested on. Old School, pioneer, originator, forefather; all highly coveted titles. Some even pushed back the years they wrote when asked or interviewed, only to be checked by historical vanguards like Checker170 who was there from almost the beginning. Some preferred the rock star status of being an 80’s writer, also referred to by some as Hollywood Writers due to their association with “Style Wars” the documentary (Chalfant- Silver). Others like Blade (early 70’s to mid 80’s) had exceptionally long and productive subway careers, enjoying the best of both worlds. 60’s 70’s 80’s 90’s …they all had one thing in common…the transition from yard to gallery, from train to canvas! Where is (illegal) graffiti headed? 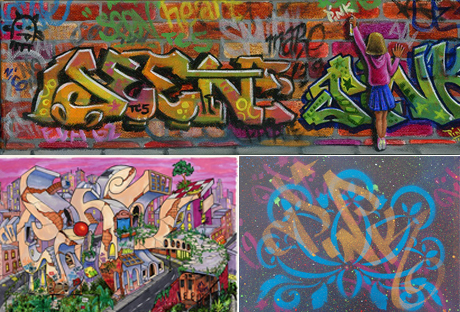 Can (illegal) graffiti and graffiti art co-exist? Can anyone just pick up a can of spray paint and call themselves a graffiti writer or graffiti artist? Do collectors know the difference between the two…do they care? 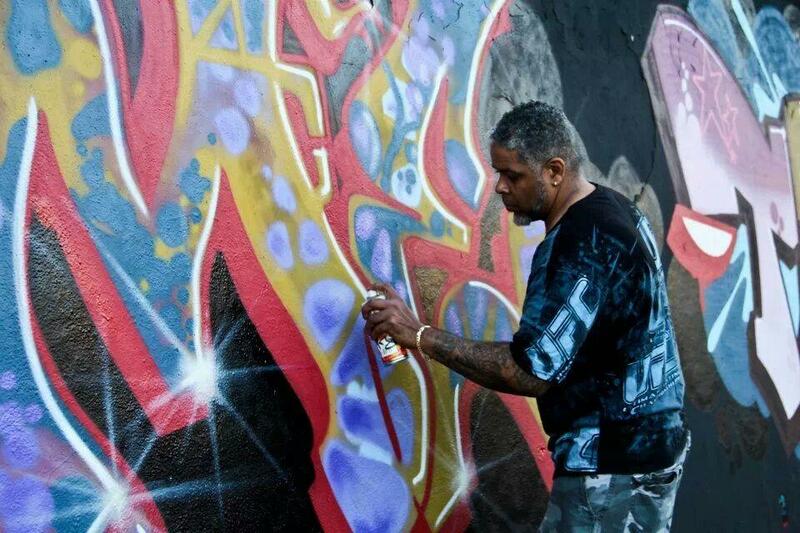 What makes a graffiti writer a successful graffiti artist? Does being published in a particular book or film automatically equate to gallery success? Do collectors collect for the aesthetic or the investment value…or both? Thank you Alan of DP for the opportunity and forum to talk with others who share the same interest about something I love….Graffiti. 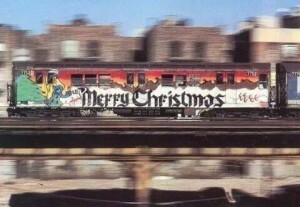 In the vast history of graffiti there is simply no single train that one can point to and say that was the first Christmas car – however – the Blade snowman comes pretty close. It was painted in early December 1974 and helped propel him towards whole cars. In the mid-70′s the Wanted crew did many thematic cars, Halloween, Christmas, the Bicentennial – it was all grist for the mill. Of course Lee took it a step further by doing two adjoining Christmas cars with the names of the Fab 5 in 1977. After that Christmas cars became more common place, reaching a pinnacle with Seen and Jason’s Happy Holiday’s car from the early 80′s. 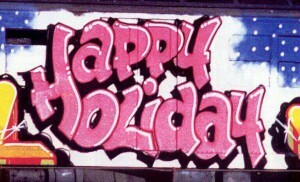 Enjoy the images and have a great holiday! I think that people don’t always understand the impact that collector’s have on an art movement. In 1980 in New York Crash curated a show for Fashion MODA, that show helped to launch a few careers and showed how important graffiti could be on canvas. 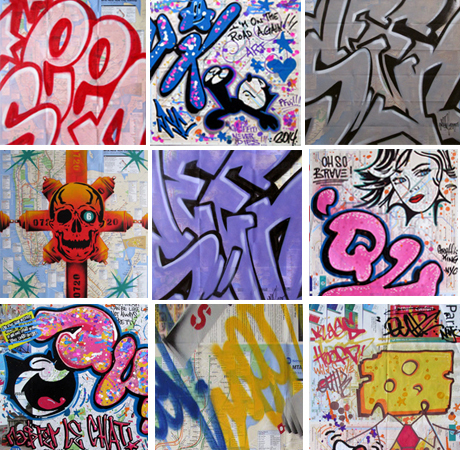 Other shows happened and the media picked up on it and suddenly graffiti art was a big thing! I wasn’t asked to be part of those shows, partly because I was five years older then everyone – also, I wasn’t easy to find. Dolores and I led a very secret life, we stayed far away from the graffiti community back then. 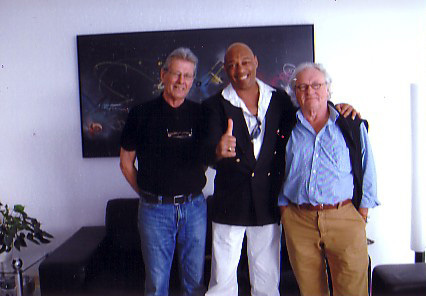 In 1982 I got a call from Henry Chalfant telling me that there was a collector from Europe that wanted to meet me. His name was Yaki Kornblitt and he was looking for the best writers to show at his gallery, he wanted a stable of ten great writers and Henry recommended me as his first choice. Once I heard from Yaki I told him about SEEN, I thought he might be a good choice as well. We had a huge Sunday dinner at SEEN’s house, the food was great and we talked late into the evening. He wasn’t really looking for a pre-packaged item, we had already proven ourselves on the trains. Yaki was wiling to let us find ourselves on canvas, some writers couldn’t move beyond the trains; I was lucky, I was able to figure it out. Some credit should also be given to Marty Cooper at that time, she purchased my first canvas and was always encouraging. If you look at my resume you’ll see that Yaki showed my work once a year for at least a decade. For each show I flew to Europe and met collector’s and the newer generation of European writers – something I never thought I’d see. Now it’s thirty years later and I’m left wondering: What if Yaki didn’t show our works? Would I have a career? Would there be a graffiti movement in Europe? It all seems so simple today, but there was a time when it was difficult. In 1982 Yaki stood up and took a huge gamble on all of us, and for that he should be saluted. Welcome to my first ever Column. (Ladies do not “Blog”.) I’m thrilled to be in such illustrious company, BLADE, Daze, Freedom, Zephyr and our Pilot Alan! I’ll hang out in the Yard with this crew anytime. I got the Idea for the “411” from my favorite Facebook group “Official Ageing B-Boys Unite”, Old School UK Homies who ask me questions, and now you can too! About Wild Style, FUN Gallery and its’ artists, my movies, the Punk Rock Scene, the 60’s, send them in. Here’s one to get you started from the group. ABU: Patti, I have seen Wild Style over 100 times and am curious about the end of the “Third Rail” scene when, as you follow Fab off camera you say, “Ouch!”. What did you step on? Patti: Ha, ha I had to go back and watch the scene, forgot about that. Wild Style was shot very much guerilla indie style, many scenes were improvised on the spot with a budget for one take only so I had no idea Fred was going to come up with that line. We were pretty good friends by that time, so when he delivered his famous line, “Watch out for that Third Rail, baby”, I was playing with him and did the “Ouch!”. You can’t see it on the film but that was the one night we were authorized to be in the Yards, it was raining and freezing and of course the MTA wouldn’t let us change our night. By the time I got to the scene with Zephyr (Zero) we were ready to kill each other, so it worked out great! Now I get to ask you. How many times have you seen Wild Style? What was your first time and what did it mean to you? Write in and I will pick the best answers. In the past two years I have been on Facebook I have been introduced to many great ‘Radio’ shows, Mixtapes and Independent Vinyl Releases and I will be featuring them here. Still on the Ageing B-Boys Unite tip, this is a show I did with Repo 136 on Disco Scratch Radio, created by Waxer Disco Scratch. Repo does a cool interview and we worked on the Set List together, it was so exciting! 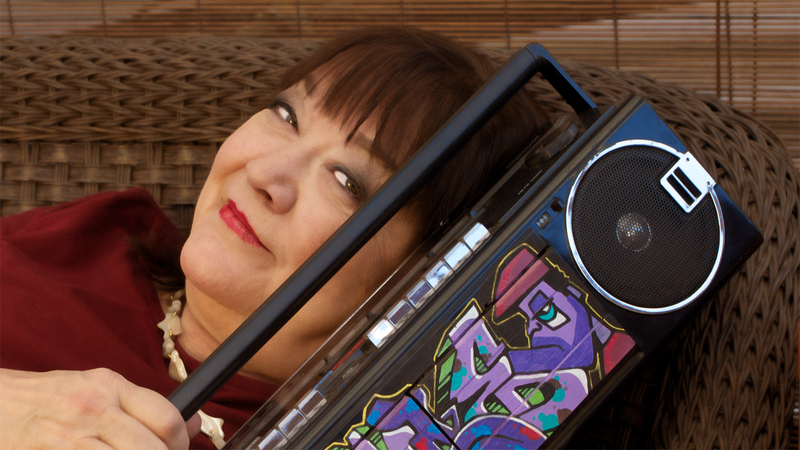 Boomboxラジカセ Creators, a search for the original designers and a look at the history of our favorite form of portable music. Also in the can are visits to Arabian Prince from NWA, inventor of the “tape-to-tape” mix, Collector Hugo Patron (over a 100!) and the Lasonics Factory still operating here in Cali. Here I am with my Co-Star. OK, let’s get those comments coming in!! Join us today thru January 15 for this amazing show!! Klass’ graffiti was born of East Harlem “the Gates of the Ghetto” as the main partner of Shaker 179 RTW TFA TDS. Klass went on to get a scholarship to Parsons School of Design, The Aegean School of Art (Greece), and the Bank St. School of Education. He’s taught art at Washington Irving HS in NYC and for Putney Student Travel in Barcelona and Madrid (Spain), The Aegean School of Art (Greece) and has done numerous murals and workshops throughout Europe and South America. He’s also a frequent lecturer at Parsons School of Design among other universities..
He’s had one man shows in NYC (Kanvas Gallery), Chelsea, and Los Angeles (Atmosphere Gallery). The Englewood Public in NJ. 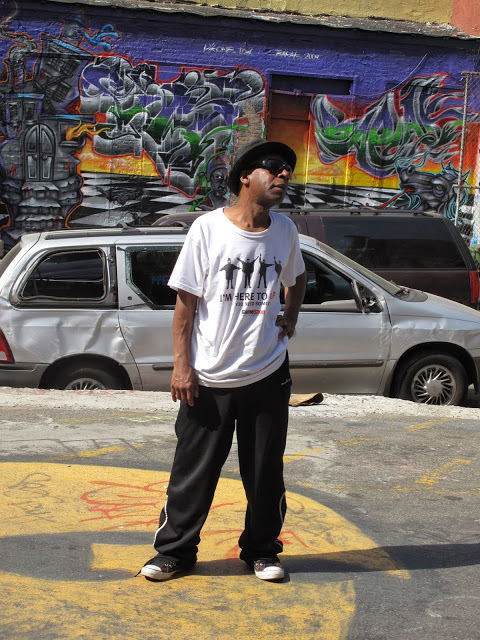 He’s been included in many group shows in America, South America, France, Holland, Greece, and is in many prestigious collections including the Gran Palais (le tag) collection, the government of Greece, the center for Cuban Studies and others… Today Klass travels as much as possible but lives and works in NYC.